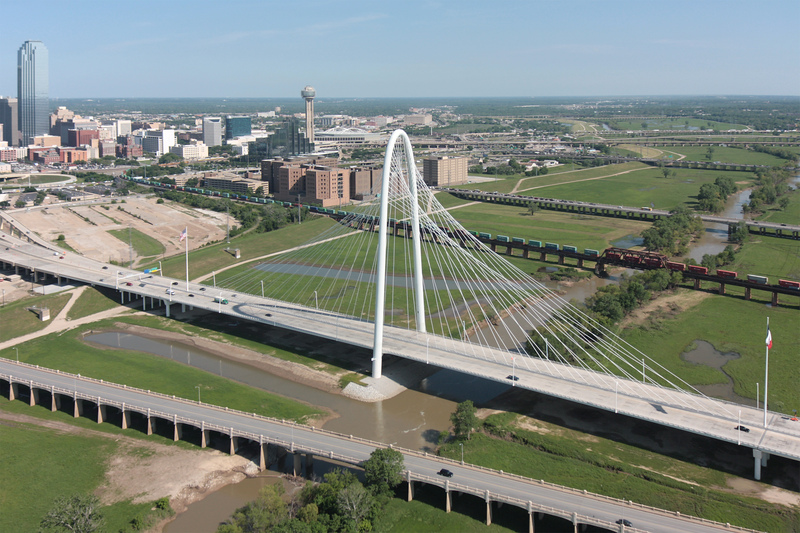 2018 status: the bridge has not changed since the photos were taken in 2012. 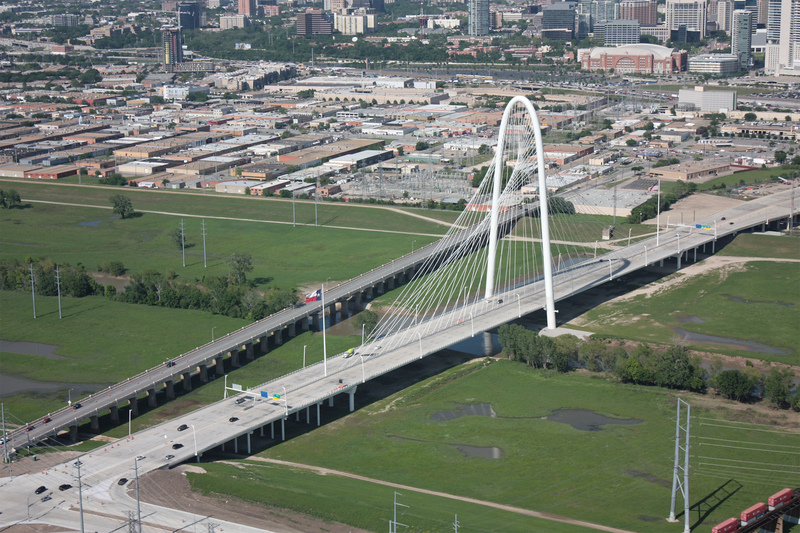 The Continental Avenue bridge, just north of the Margaret Hunt Hill bridge, was converted into a pedestrian-only bridge with park features in 2014. 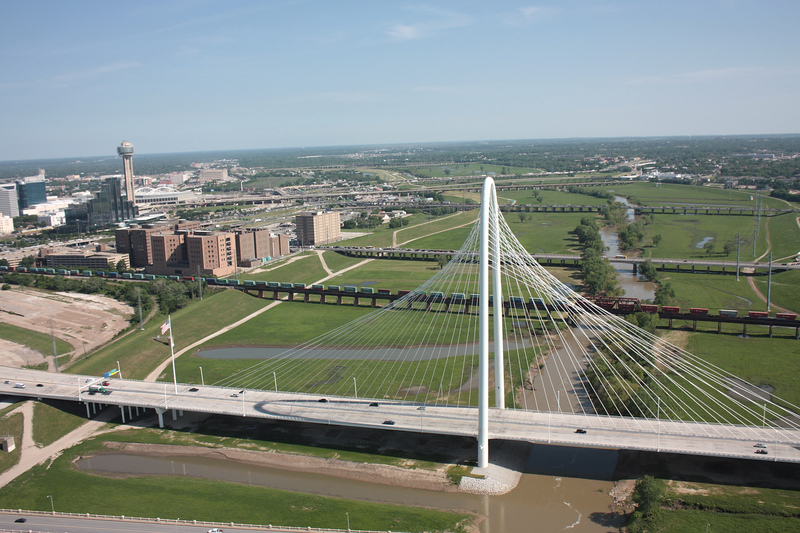 The pedestrian bridge was named for former Mayor Ron Kirk in 2016. 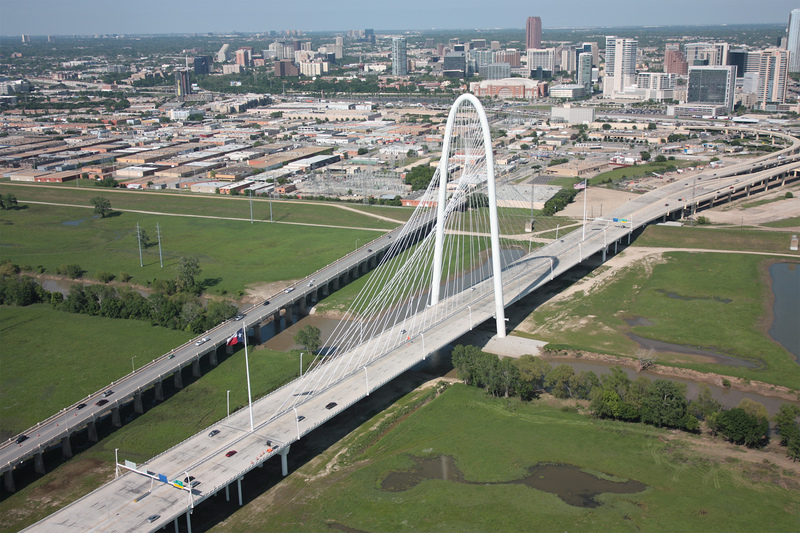 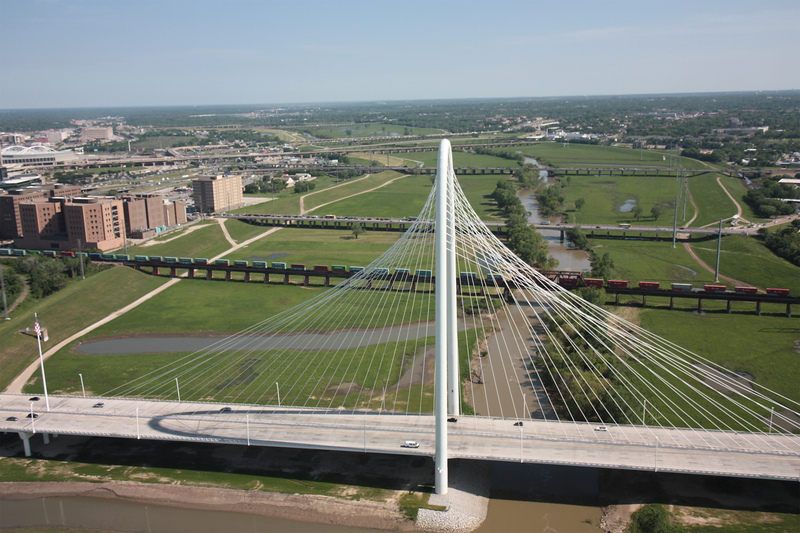 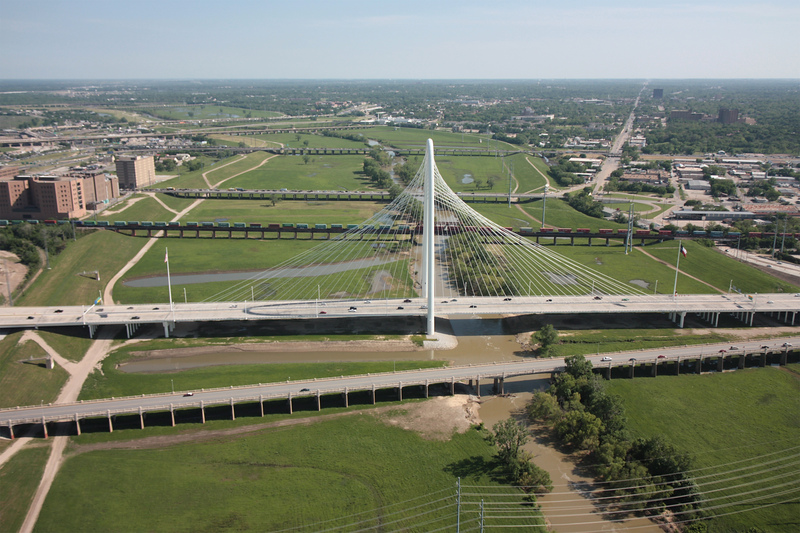 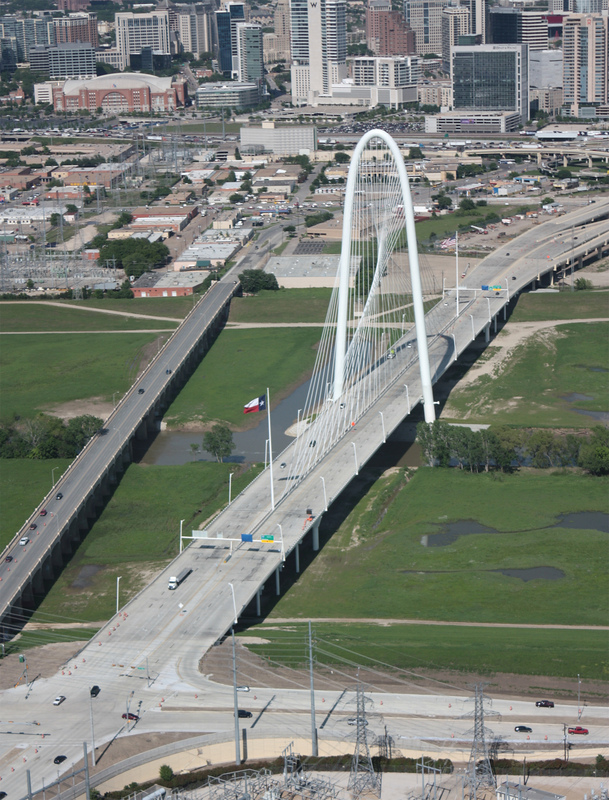 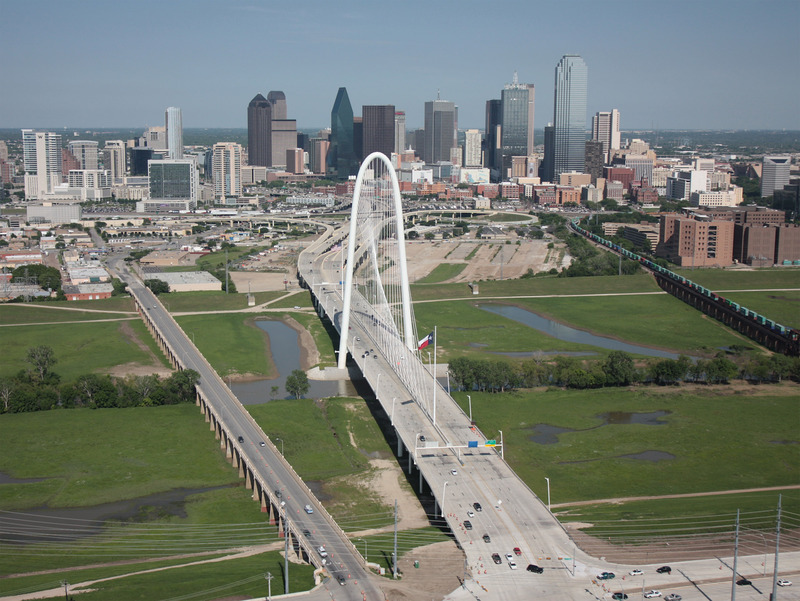 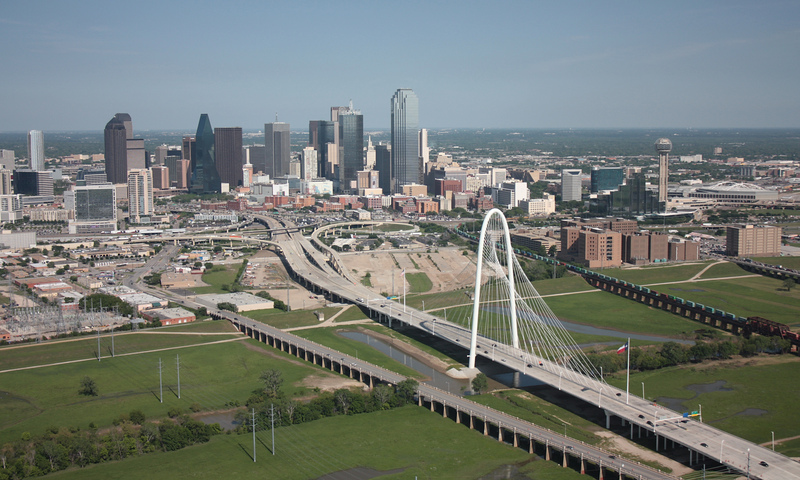 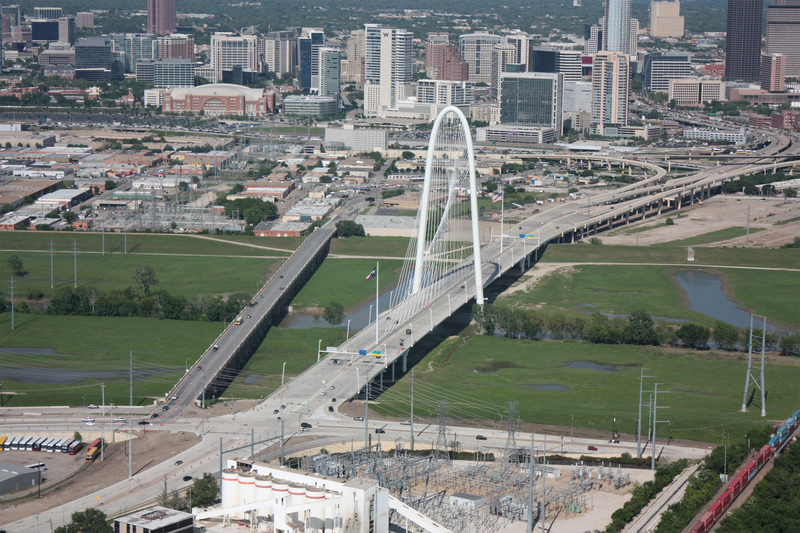 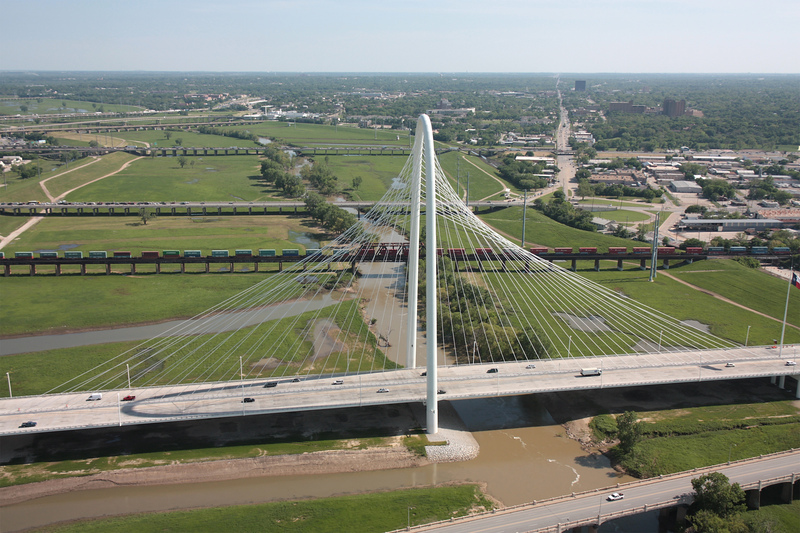 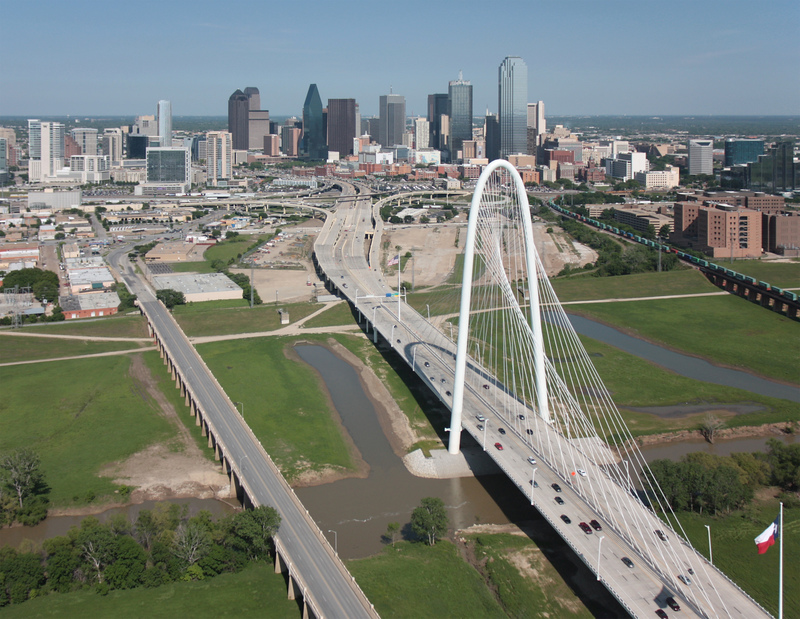 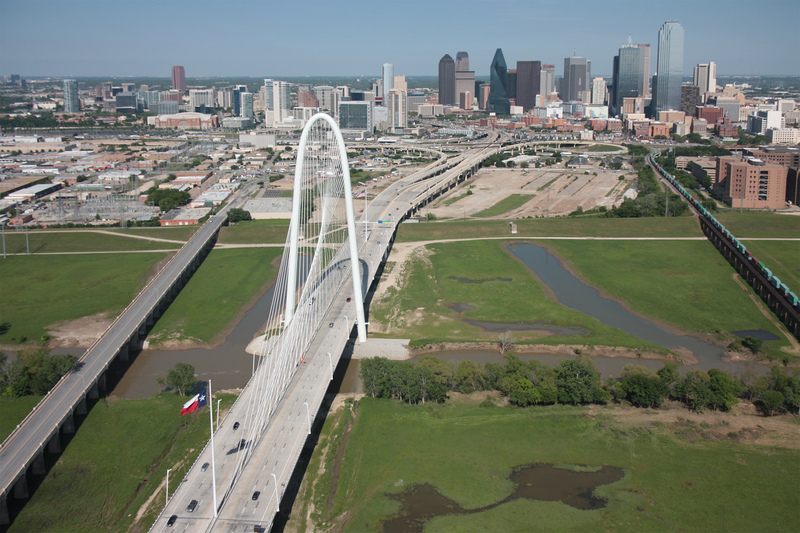 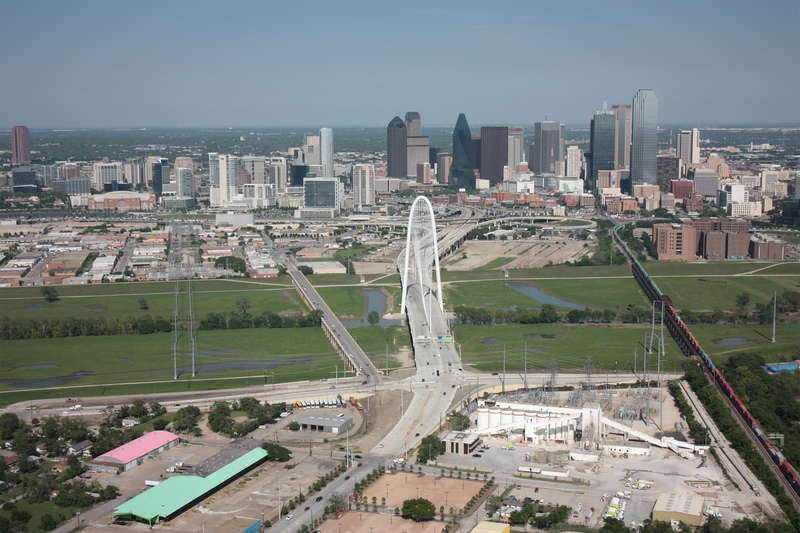 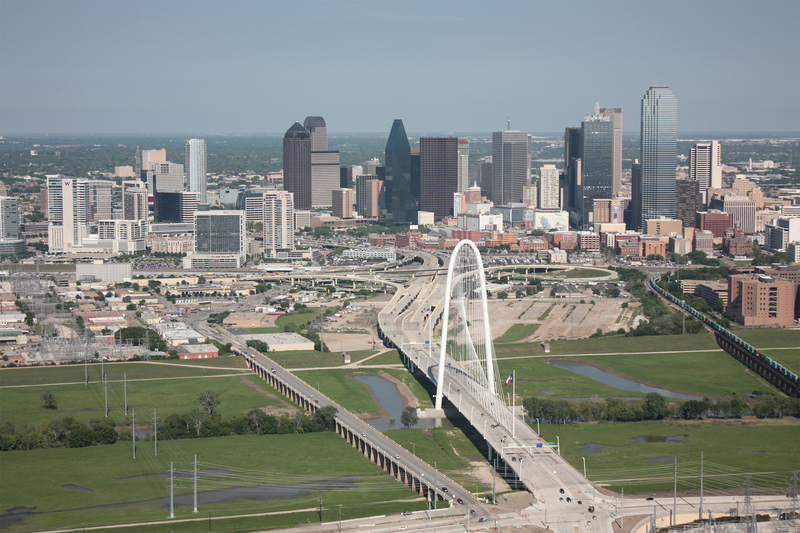 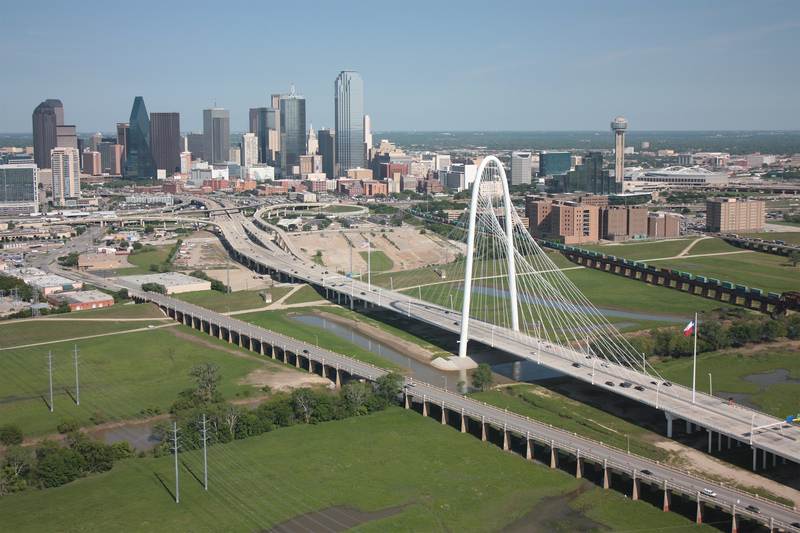 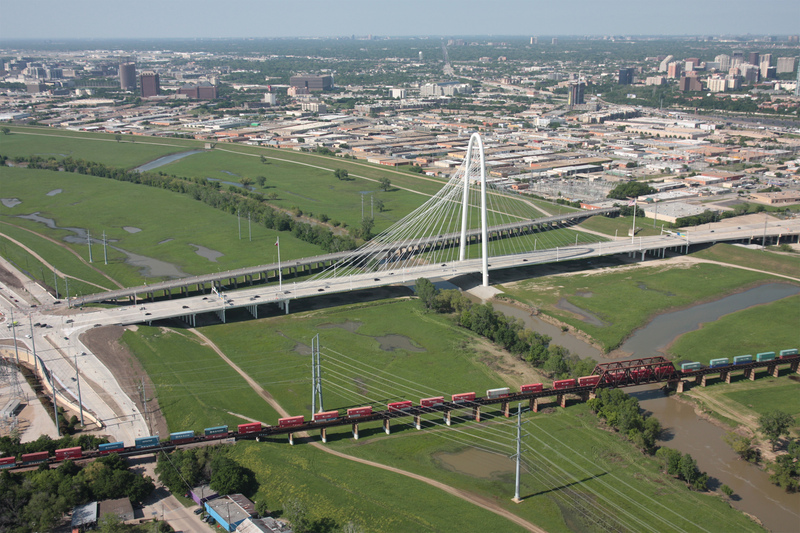 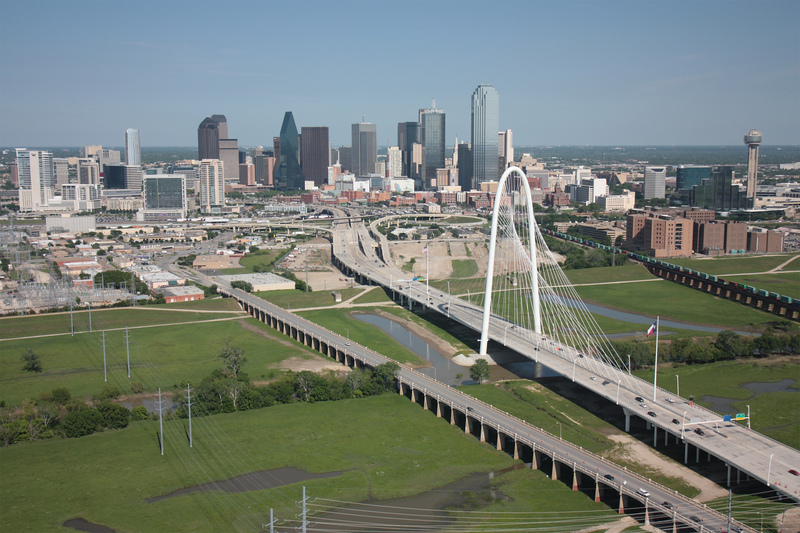 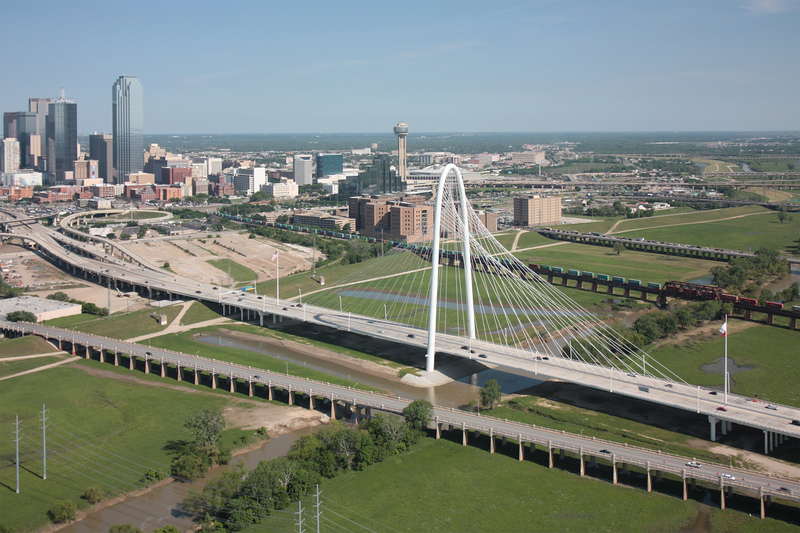 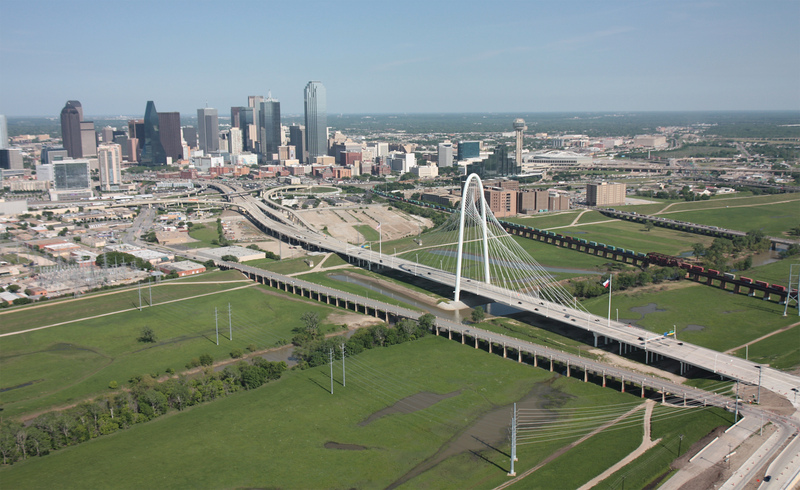 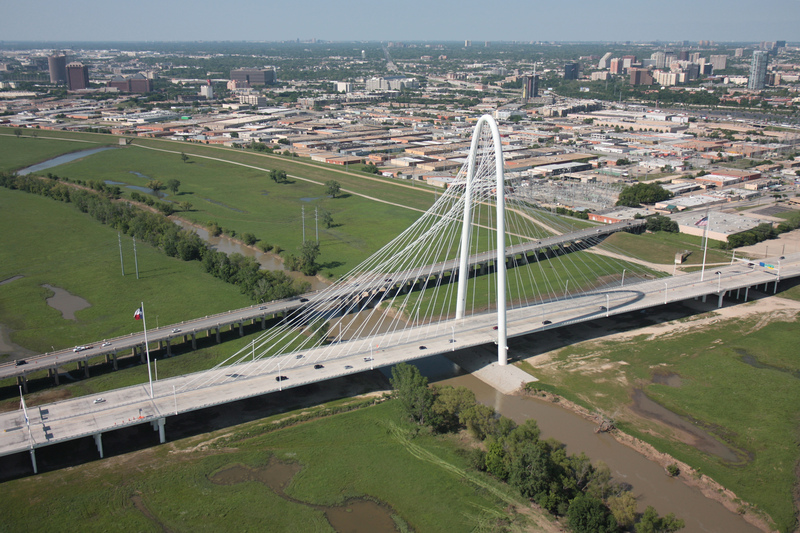 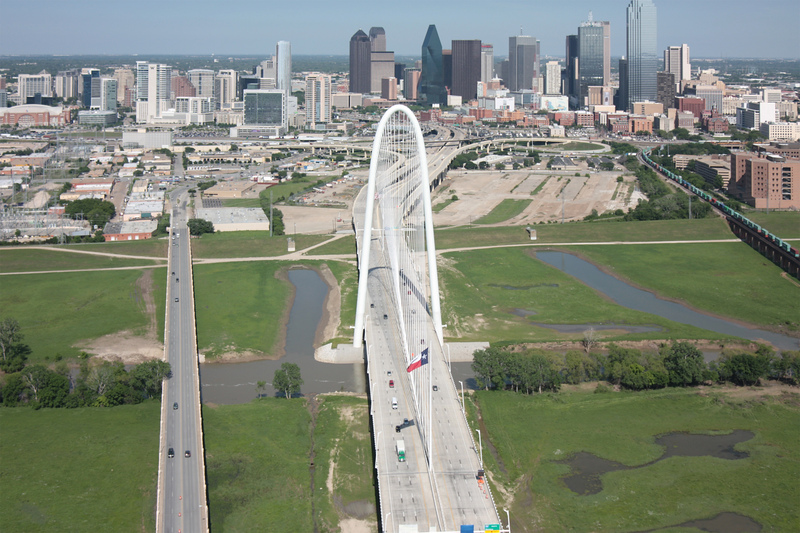 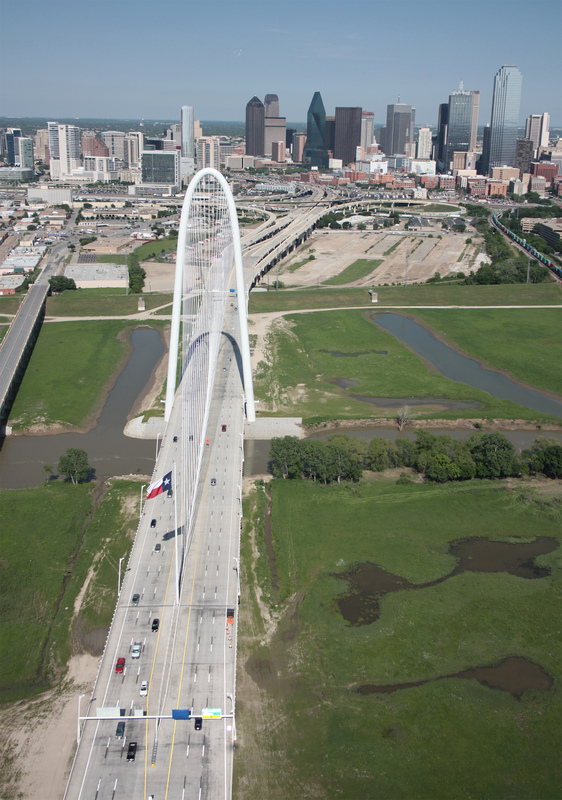 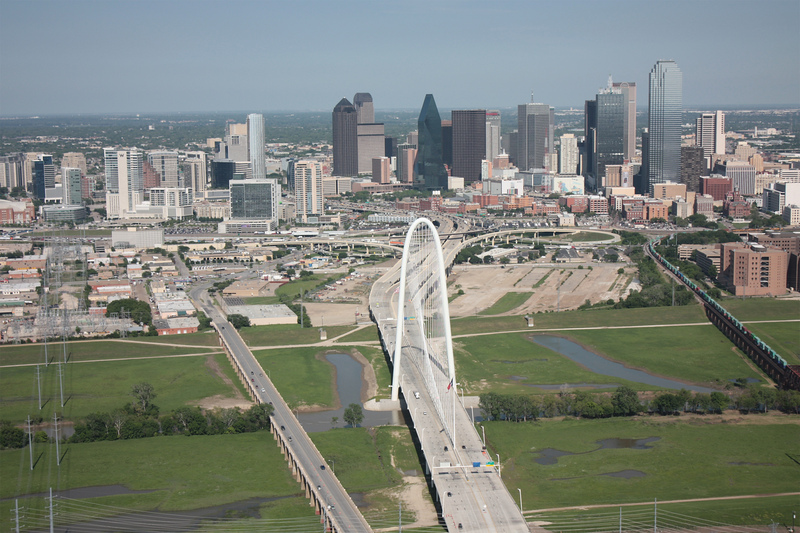 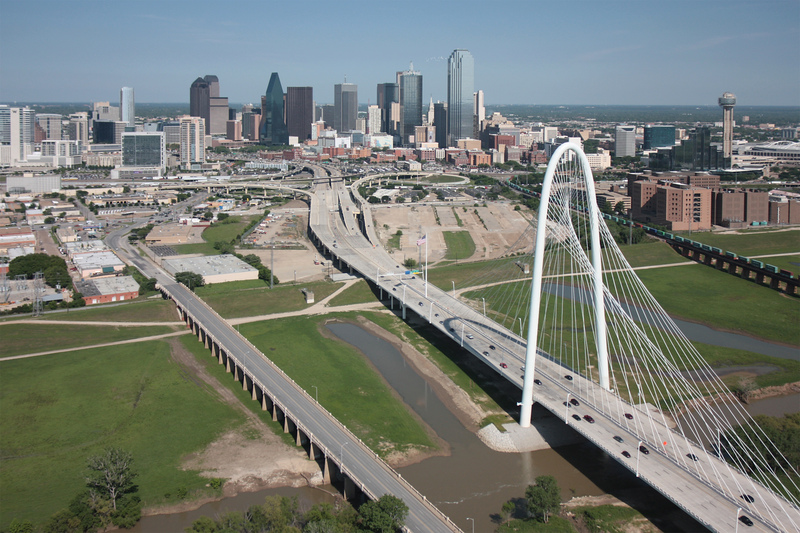 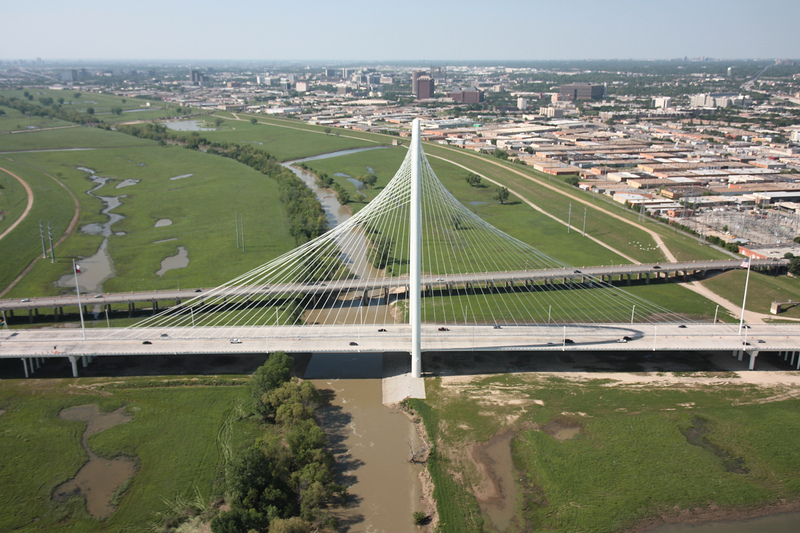 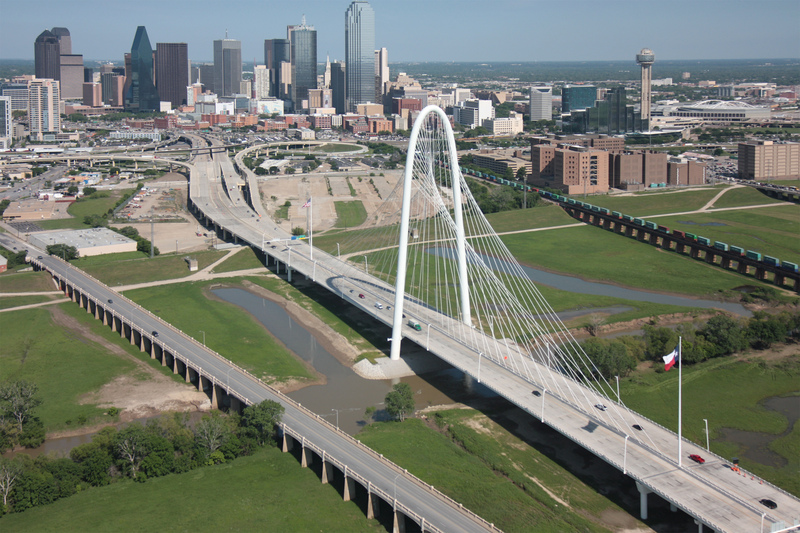 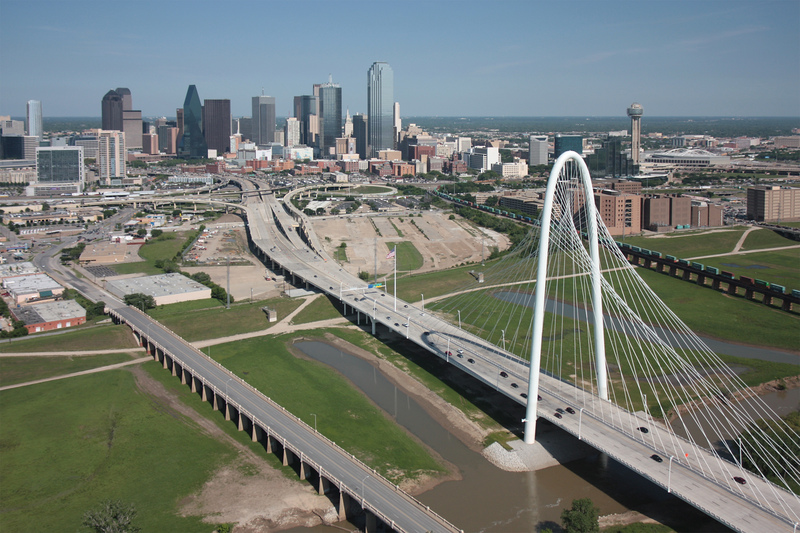 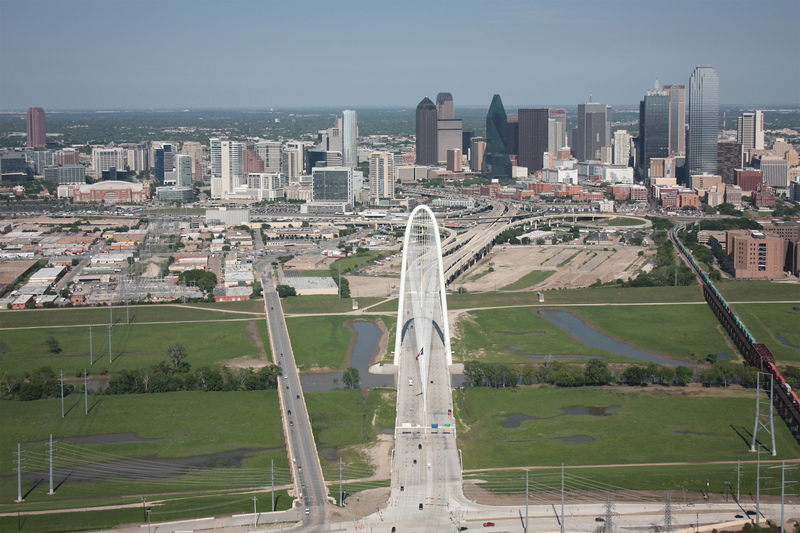 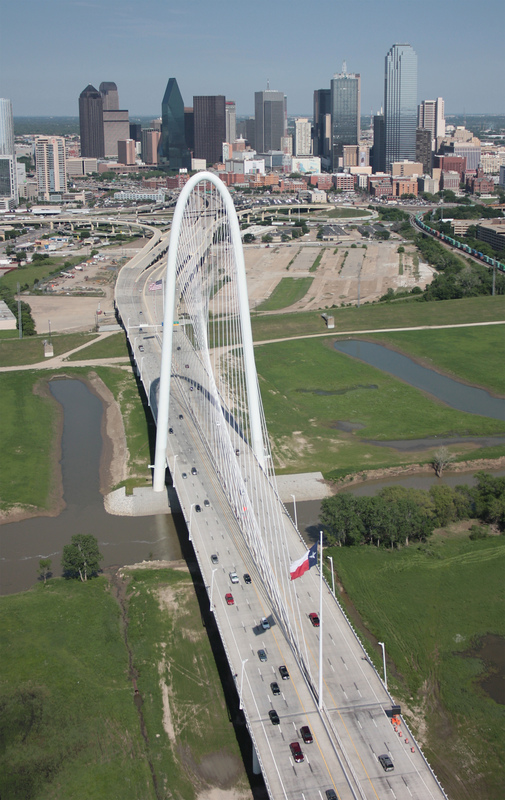 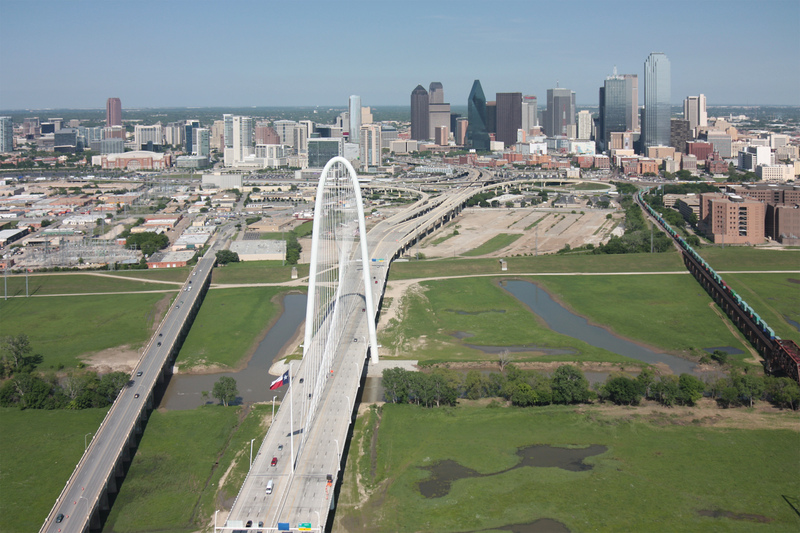 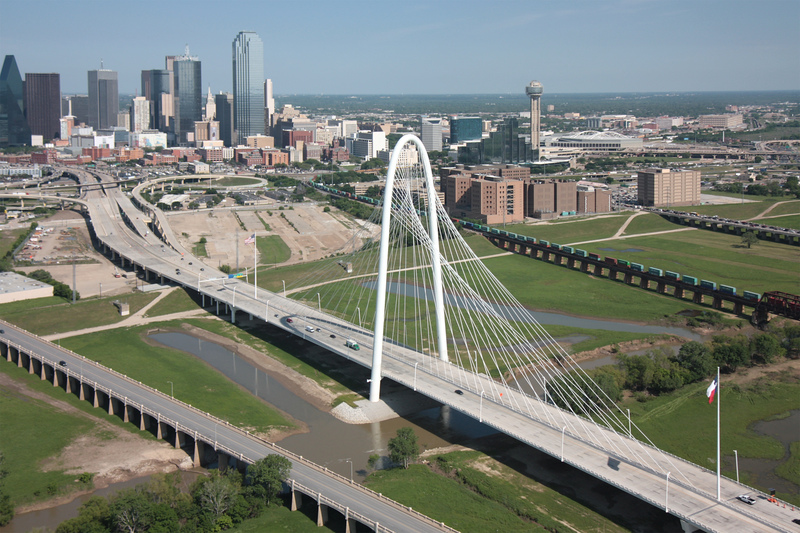 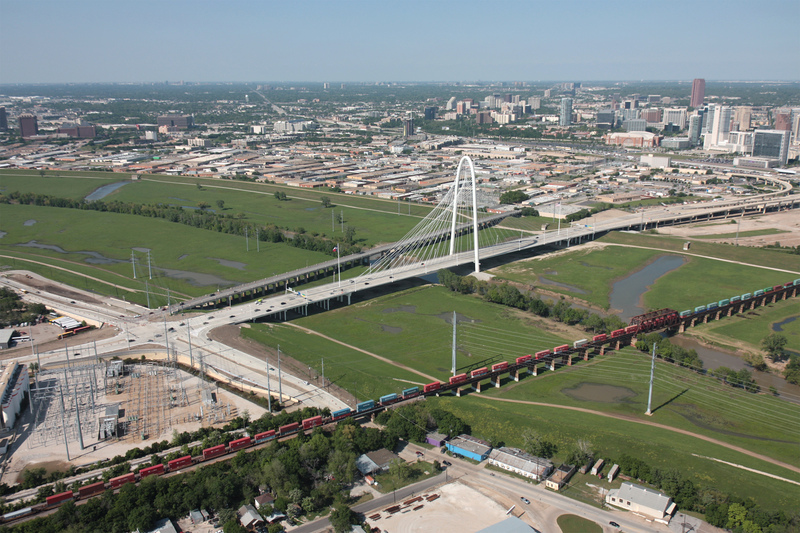 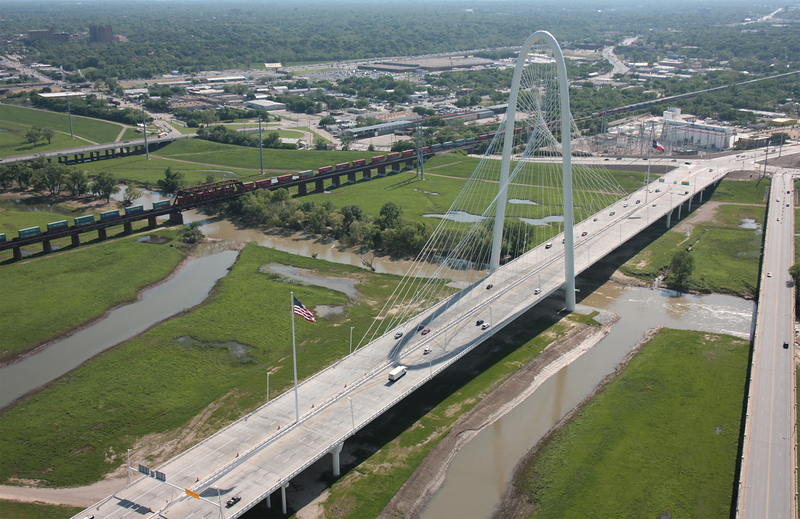 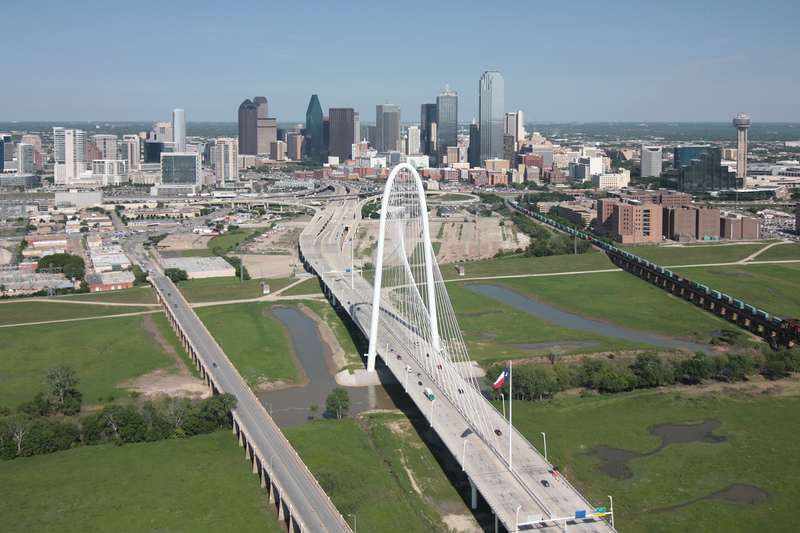 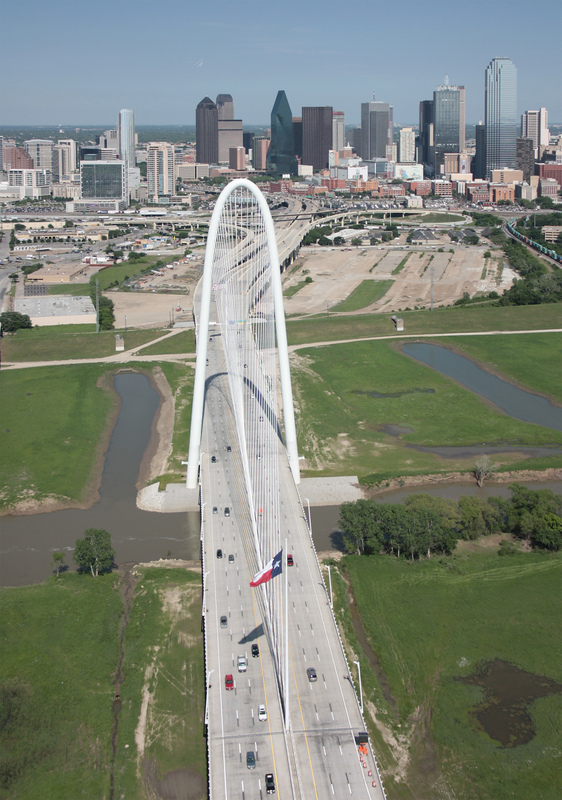 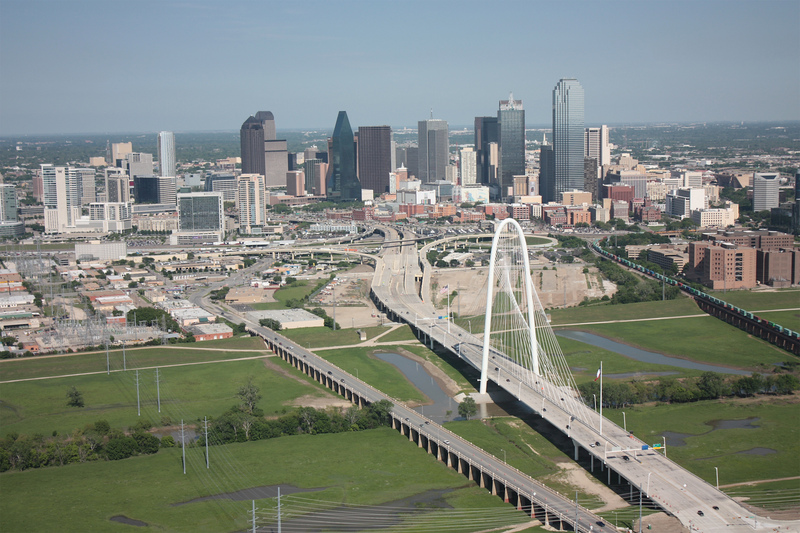 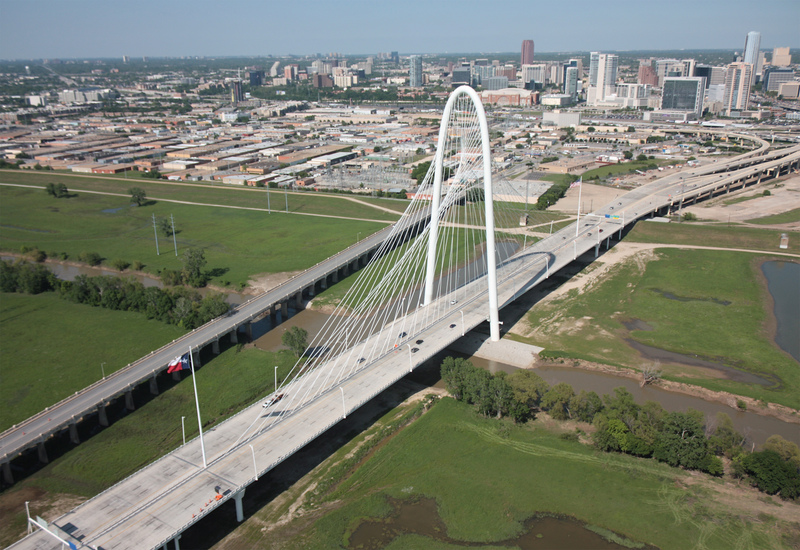 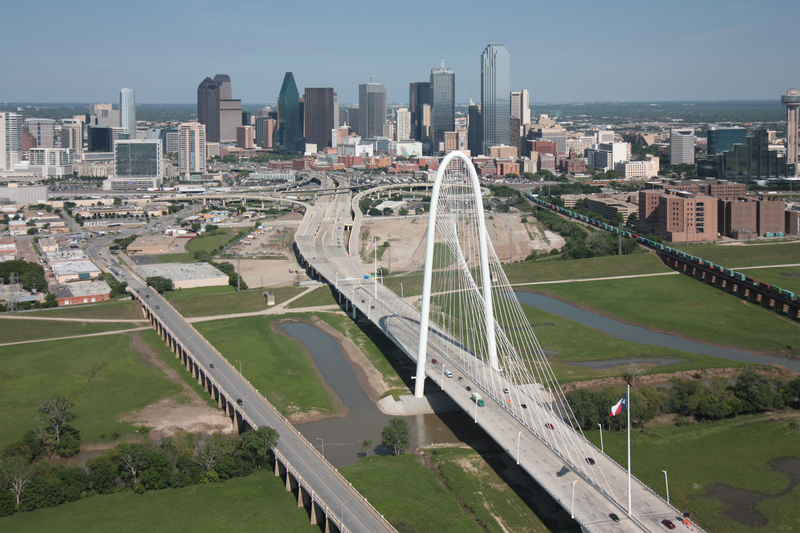 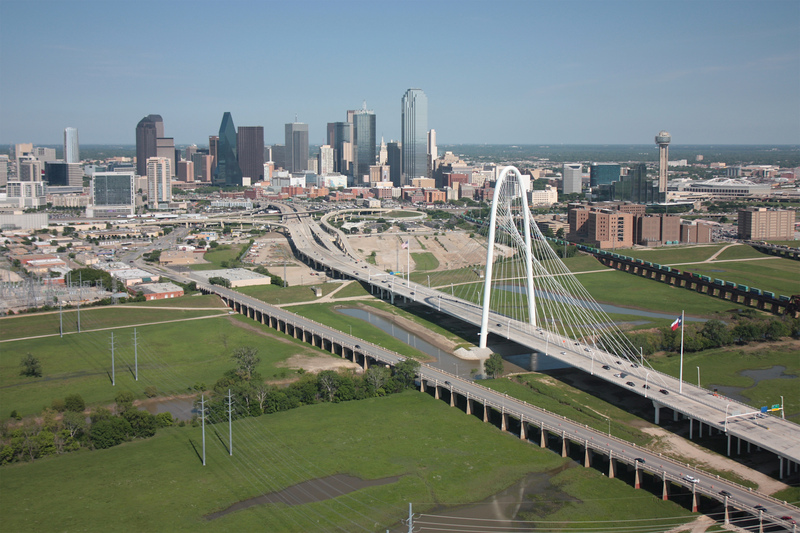 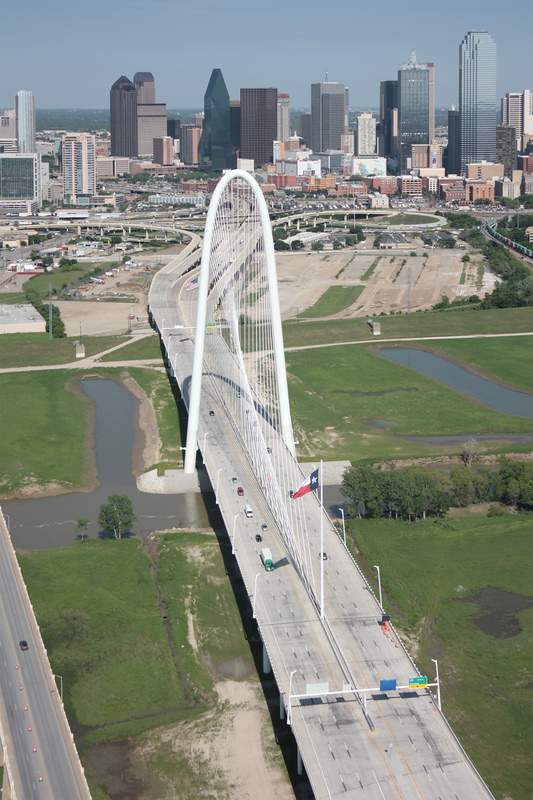 The third bridge south of the Margaret Hunt Hill Bridge, Interstate 30, was rebuilt and widened with two long-span arches, with work completed in 2017.